West Bromwich Albion is 12th on the table with four points from 4 game, below on goals scored from Crystal Palace and above on goal difference from Swansea City. On the other hand, we have WestHam United who is 17th on the table with three points from four games, below one point from Leicester City and one point above Southampton. West Bromwich Albion is currently #12 on the table with four points from four matches as they have won one, drew one and lost two games, scoring two goals and conceding three goals in total. They need to start playing better if they want a better finish at the end of the season, but that is very far as we are just at the fifth matchday of the season. Their record with WestHam United hasn’t been excellent as they have won only one game from the last 11 meeting with them. WBA won their first match in the league against Crystal Palace by 0-1 and haven’t won since. They played against Bournemouth on the 4th match day and lost the match by 1-0 away from home. The deadlock was broken in the 79th minute as the home side scored and won the game by 1-0, Callum Wilson was the scorer. Bournemouth dominated the game as they had 63% possession whereas WBA had 36%. Both teams had 12 shots on goal; Bournemouth had five on target whereas West Brom had only two. 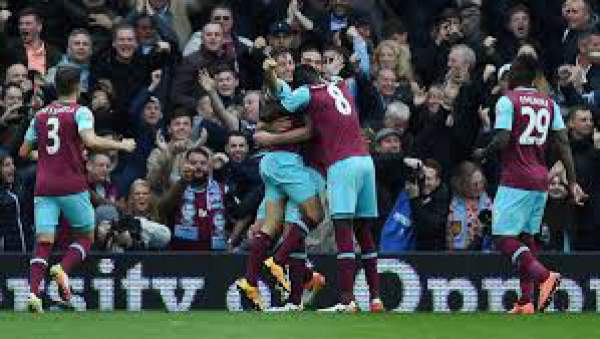 WestHam United are #17 on the table with three points as they have won one game and lost three, scoring five goals and conceded nine goals in total. WHU have won their last two games against WBA. They won their first game in the league against Bournemouth on the second match day. They had a match against Watford on the fourth matchday and lost the game by 2-4 as Antonio scored two for WH and then Watford made a comeback scoring four goals in the 41st, 47th, 53rd and 63rd minute of the game. Foster, Dawson, Evans, McAuley, Galloway, Field, Fletcher, Yacob, Chadli, Phillips, Berahino. Adrian, Masuaku, Byram, Collins, Reid, Noble, Payet, Kouyate, Antonio, Lanzini, Zaza. Both teams are not in their best form and are desperate for a win. Come back for the match result, full video highlights, and much more. Don’t forget to share. Stay tuned.